Also, who likes short shorts?! chief wiggum: "whoo, look at all those hot pants." 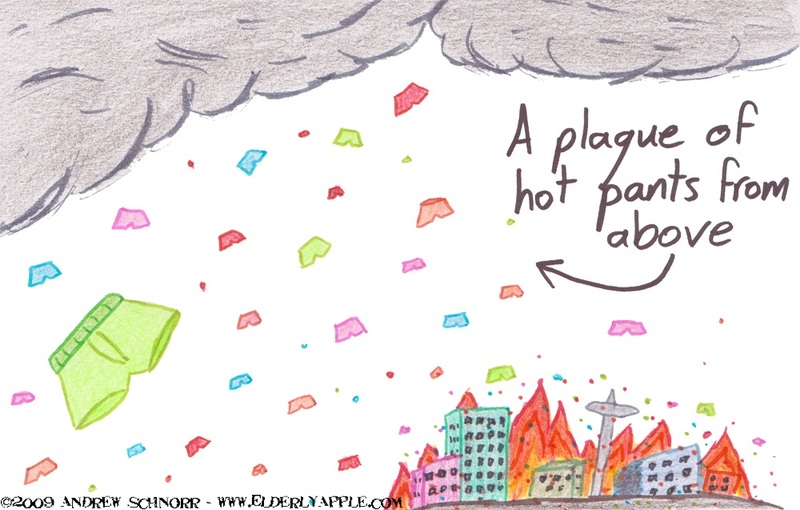 I love how this plague of hot pants has caused a metropolis to burn down - that is HOT!